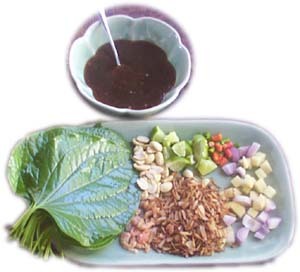 Meang-Kum is a kind of Thai snack. In the past, we usally use it for welcoming the guest. Mix the ingredient well and simmer in low heat until it sticky.